Autism Awareness Fundraiser will be held during the week of April 8th. "NP it starts with us" so show your school spirit by purchasing shoelaces and/or a tie die wrist band or a beack blanket! Items will be sold at lunch / recess. All proceeds will be donated to the The Drive for Autism Foundation. Salt Brook's Teacher of the Year 2019! 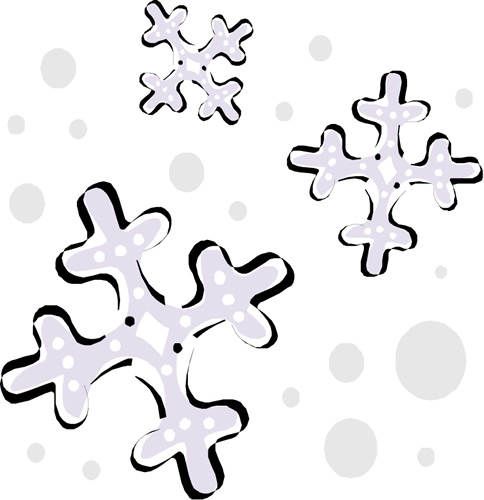 Click below for details about this fun snowflake activity to decorate the library for winter! You have until February 8th to bring in your snowflake. Click below for directions and for some snowflake templates or feel free to create your own! Have fun and be creative! The 2018 – 2019 district-wide Character Education theme is….. NP.....IT STARTS WITH US! This year our theme was delivered to us by a very special Salt Brook friend. Click the video below to see who it was and how the theme got to us at Salt Brook! Welcome to Salt Brook, a National School of Character! Welcome to Salt Brook School for the 2016 - 2017 school year! I would like to welcome back our returning students and families and hope you all had an enjoyable summer. To our new students and families who have recently joined Salt Brook, a heartfelt welcome. We are excited to have you join our Salt Brook family and look forward to working with you throughout the year. Dedicated staff, enthusiastic students, involved parents and a supportive administrative team combine to make Salt Brook Elementary School an exciting place to learn and grow. Salt Brook School is one of two K – 6 elementary buildings in the New Providence School District. Our faculty and staff educate approximately 670 students. Staff members are known to arrive early, leave late, and spend many a summer day writing and revising curriculum, planning lessons and preparing classrooms for the new school year. They are highly qualified, committed to the goal of academic excellence, and believe that the fundamental skills of all major content areas are of highest priority in the education of our young people. Students at Salt Brook School consistently perform well above state and national averages on standardized measures of assessment. The PARCC Assessment along with district developed assessments are administered to students in grades 3 - 6. Students in grades K - 2 are assessed regularly through locally developed assessments. This data is used to plan instruction and evaluate all programs, by subject and by grade level. In addition to the core subjects, students experience an extensive related arts curriculum that includes instruction in Art, Chorus, General Music, Orchestra, Band, Technology, Physical Education, World Languages and Media Skills. A Gifted and Talented Program that provides opportunities for enrichment and exploration for all interested students rounds out an excellent educational experience for Salt Brook students. We, at Salt Brook, believe that a child’s self-esteem is the key to success in school and have created a safe and supportive environment that enhances a joy of learning for all of our students. Therefore, complementing the outstanding student academic achievement, students at Salt Brook are taught lessons in social and emotional behaviors. An integral part of Salt Brook Elementary School is our Character Education program. Salt Brook School was selected as a 2011 New Jersey School of Character as well as a 2011 National School of Character! Through character education the students are continually engaged and immersed in educational activities and a school culture that helps to develop good character and endorse respect, responsibility and tolerance. It is our goal that through all of our efforts the children will learn to think before they act, understand fundamental differences between right and wrong, and make good decisions. We, at Salt Brook, also believe it is important for the home and school to work together to provide a quality education. We have a very active and supportive PTA and parents are strongly encouraged to be partners in their children’s education. Through our collective efforts, our goal is to build and enhance our students’ knowledge and self-esteem, thereby empowering them to reach their highest potential. The parents of students at Salt Brook School are stakeholders in their children’s education and have always demonstrated a commitment to this process. High expectations for student achievement, a highly-qualified and dedicated staff, supportive administration, and parental involvement continue to make Salt Brook Elementary School one of the premier elementary schools in Union County. The Salt Brook community is committed to providing the students with the confidence, sense of responsibility, and academic preparation they will need to become effective leaders in the 21st century.